The North Coast of Honduras was never really conquered or controlled by the Spanish Conquistadors. The lack of a dense local population, as well as the hot and humid climate, kept the conquerors at bay. It was actually easier to run into a British buccaneer ship along the coast than it was to find a Spanish galleon sailing the waters off the Caribbean coast of Honduras. The Brits actually established a protectorate in the eastern part of Honduras and northern part of Nicaragua, which was called the Moskito Coast; the name comes from the ethnic group: the Miskito Indians, with whom they formed a loose alliance to fight off any attempts by the Spaniards to establish themselves in the area. The only Spanish outpost along the eastern Caribbean coast of Honduras during colonial times was the city of Trujillo, and this was attacked, ransacked and burnt by the buccaneers on multiple occasions, despite the fortress of Santa Barbara that sits on top of a hill to defend the city. As such, La Ceiba was not established as a village until around 1872. By 1877, President Marco Aurelio Soto declared it a municipality, and in 1902 it became the capital of the department of Atlantida. One interesting fact about La Ceiba is its name, which coincides with that of the huge Mayan mythological tree: the Ceiba. It happens to be that the first people to establish themselves in the city did so on the beach under a huge Ceiba tree that generously provided its shade to these early settlers. One of the most interesting facts of history about La Ceiba is that the city became one of the most progressive cities in Honduras thanks to the government land concessions given to the Vacaro Brothers Company, which eventually became the Standard Fruit Company, owner of the Dole trademark. During the time the city grew, and it was easier for the locals to travel to New Orleans on the different steamships that regularly traveled the route to take the banana and fruit production to the north than it was to travel to Tegucigalpa, the capital of Honduras. Some of today’s most important enterprises and companies in Honduras where actually born in La Ceiba under the umbrella of the Standard Fruit Company. Great examples about the above are the Cerveceria Hondureña, (the Honduran Brewery) which was born in La Ceiba in 1916. Another great example was the Banco Atlantida, the first private bank in Honduras, which was established in 1915. The original headquarters of this bank still operates to this day in a lovely art deco style building that sits proudly on the corner of Avenida San Isidro and First Street, just a block away from the old dock where all the commerce took place. Today, La Ceiba is no longer a big port city exporting bananas and other tropical fruits. The main ports on the Caribbean coast of Honduras are Puerto Cortes, to the west and Puerto Castilla to the east. The city has slowly begun a transition from a port and agricultural power house to an important tourist hub. As part of Atlantida, a destination that includes both La Ceiba and Tela, the city is in the process of reinventing itself. 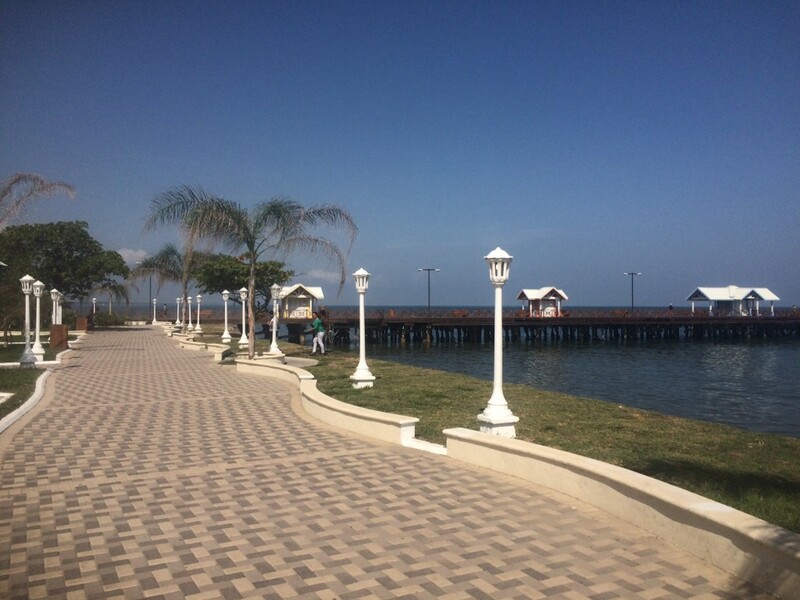 One of the most significant examples about La Ceiba managing this transition can be seen in the totally renovated “Muelle y Malecon Turistico Reynaldo Canales” or in English Reynaldo Canales boardwalk and dock, which is meant to transform an old abandoned part of the City of La Ceiba into a park and recreational area for the enjoyment of locals and tourists alike. 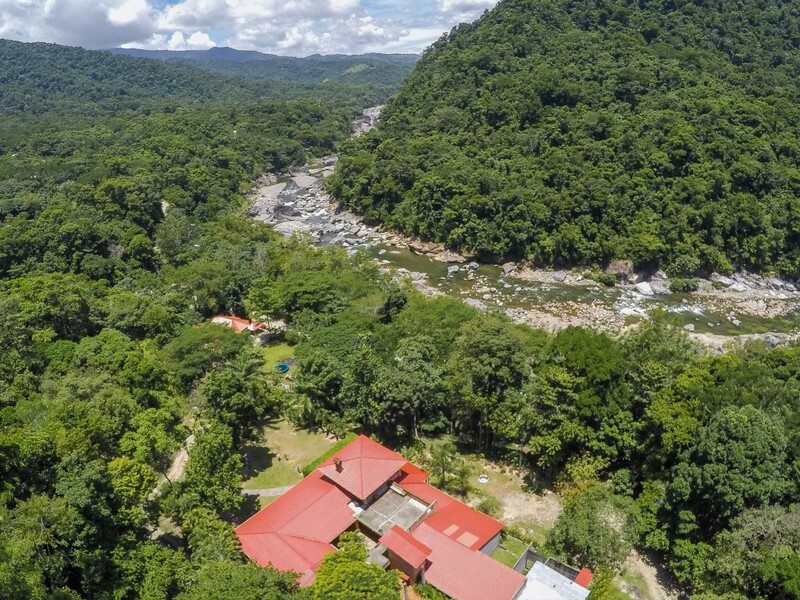 Perhaps the most outstanding feature about La Ceiba as a tourist destination is the diversity of protected areas and national parks around its environs. If you add the endless options for adventure activities, which include white water rafting, zip line canopy tours, waterfall descents by way of rappelling…. And many others, you have an outstanding eco tourism and adventure destination! La Ceiba offers many advantages to the traveler, but perhaps the most important of all is safety. The local communities look after the tourists that visit the National Parks and participate in the different activities available. Another nice thing to know about La Ceiba is the fact that it has the highest percentage of bilingual population in Central America! This means that you can always find someone to help you in your language if you need any assistance! Now that you know all about La Ceiba, you are surely ready to plan your vacation. I fully recommend checking out the visit Atlantida web page for information. Another great source of information is the visit La Ceiba web page. Last, but not least, feel free to read through our blog, you will find useful and important information there. If you don’t, feel free to email me at [email protected] and I will be more than happy to help you out with your questions and suggesting activities depending on your interests. One of the best ways to get to know all about La Ceiba is by staying with the locals. we invite you to consider staying at the award wining La Villa de Soledad B&B. We will be happy to sit down with you and share our knowledge about La Ceiba and surroundings!